Clinique Lip Color, Cream, Sample, & Gift Just $27 Shipped! A $97 Value! You are here: Home / Great Deals / Clinique Lip Color, Cream, Sample, & Gift Just $27 Shipped! A $97 Value! Macy is offering a FREE 7 Piece Gift with ANY $27 Clinique purchase! 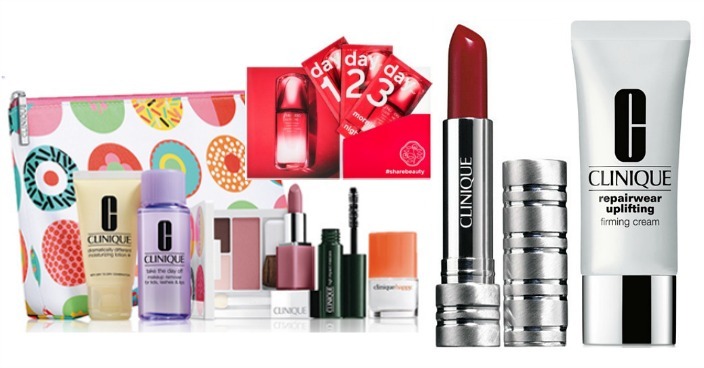 This means you can pick up Clinique Lip Color, Cream, Sample, & Gift for just $27 shipped! Final: $27 shipped for everything!